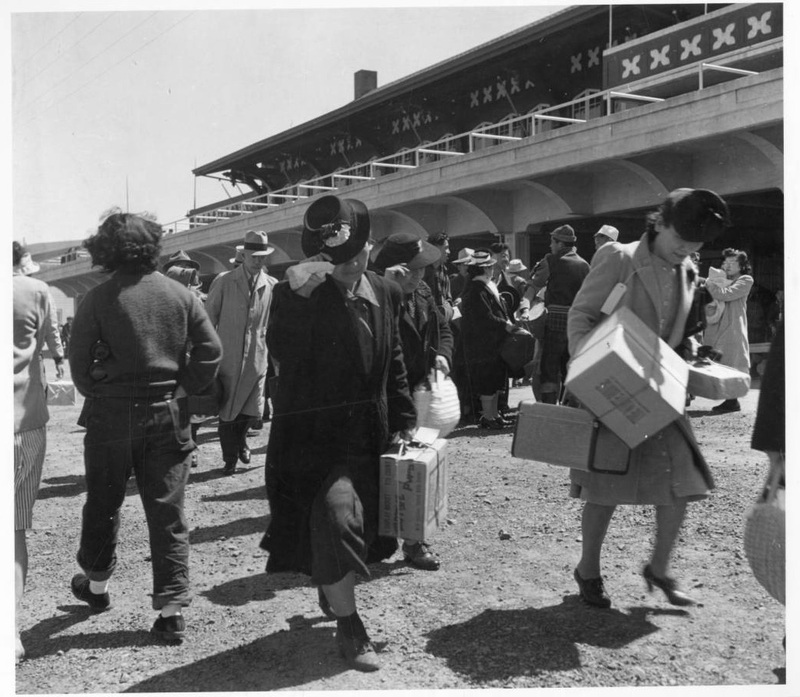 The US government used Tanforan Racetrack site as a temporary assembly center for Japanese Americans on their way to relocation centers in the US interior. While waiting for relocation, some 8,000 Bay Area Japanese Americans were processed here in the spring of 1942. “Arrival at Tanforan,” Digital Public Library of America, https://dp.la/item/aea4c14b576c79116367976fbebfe5b9.